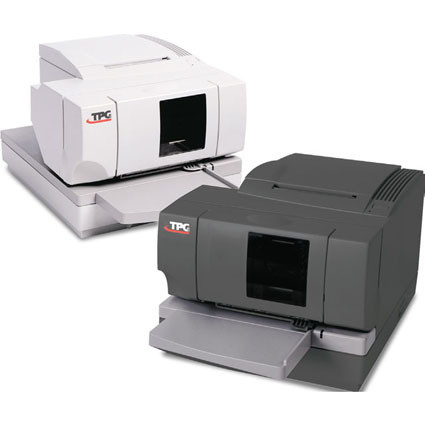 TPG´s state-of-the-art A758 multi function printer features ´single step´ automated check processing. It reads the MICR, prints the validation, ´flips´ the check, prints the face and presents the check back to the clerk all in one process. The A758´s unique front window design allows the clerk to never lose sight of the check.